The Asi River is shared by Lebanon, Syria and Turkey. Lebanon is the upstream country of the Asi River. It usually experiences intense rainfall in the winter (November-May), but the rest of the year it has a typical Mediterranean climate, with warm, dry weather conditions. Annual rainfall is approximately 800mm. Some reports indicate that Lebanon is abundant in both groundwater and surface water resources. During the Cold War era, Lebanon could not properly use its water resources due to technological and investment constraints. Lebanon uses a relatively small amount of water – approximately 1.31BCM/year – from the Asi River Basin. The annual amount of water used in Syria is about 15BCM. This comes from the Euphrates (50 per cent) and the Asi River basins (20 per cent). Of the water usage from the Asi River, 2,230MCM are used for irrigation, 320MCM for domestic purposes and 270MCM for industrial purposes. The total amount of water withdrawn from the Asi River is 2,730MCM. Seventeen per cent of irrigated land in Syria is within the Asi River Basin. For irrigation, Syria benefits not only from surface water but also from groundwater. Industrial development is focused on areas where water from the Asi is readily available. The main industrial areas are located in and around Homs and Hama. The amount of water that is pumped from the Asi for industrial use is equivalent to half of Syria’s total water needs. An oil refinery built on Lake Qattinah in 1957, fertilizer production plants built in the west of the lake in 1976 and several olive factories near the Turkish border are major contributors of pollution in the basin. Untreated waste from the olive factories, in particular, is the cause of fish deaths. The water quality is further impacted by agricultural runoff and the inadequacy of the infrastructure in Homs. The total capacity of the Syrian dams on the Asi River is about 736MCM. The largest of these dams are al-Rastan, Qattinah, Mahardeh, Zeyzoun and al-Qastan. 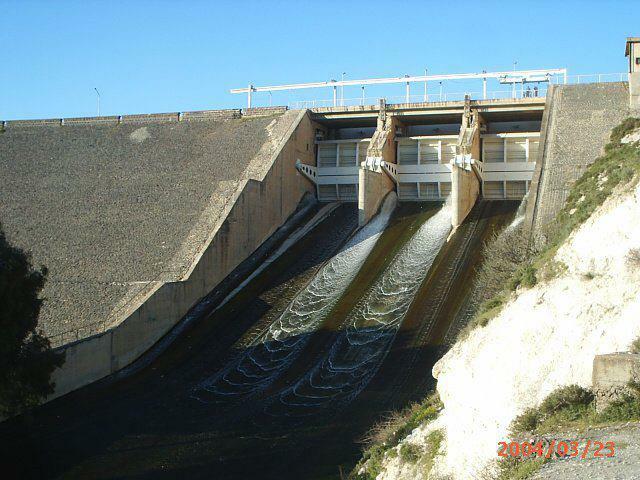 The Homs-Hama channel, which is bound to the Qattinah reservoir, provides water for an area of about 23,000 hectares. The Mahardeh reservoir provides water for the Asharnah Plain and the al-Rastan reservoir provides water for the irrigated areas on the Asharnah and Ghab plains. Planned projects aim to irrigate 72,000 hectares. In areas where the existing reservoir waters are insufficient, groundwater resources are used to irrigate a further 20,000 hectares. Turkey’s gross water potential is 193BCM. The total economically exploitable annual water potential is 112BCM. The Asi River makes up 0.6 per cent of Turkey’s total water potential. Turkey primarily uses the Asi for irrigation, animal farming and drinking water. The area that Turkey would like to irrigate in the Asi River Basin is about 165,000 hectares. Although Lebanon uses a comparatively small amount of the Asi’s waters, Syria’s Ghab irrigation project mean extremely small amounts of water reach Turkey in the dry months. The General Directorate of State Hydraulic Works (DSİ) drained 23,000 hectares of swamp around Lake Amik in 1972 and opened up these areas to agriculture. However, this project has had negative environmental impacts such as floods and drought. 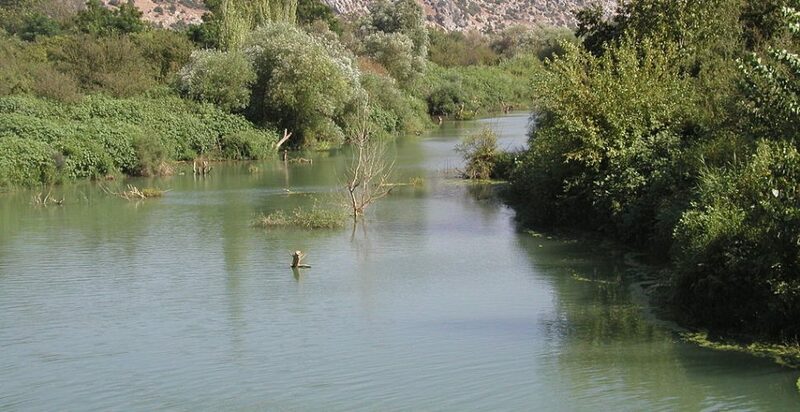 Turkey has 12 water development projects in the Asi River Basin. Four projects are operational, two are under construction and the remaining six are in the review stage. The projects take into account flood protection, drinking water needs, irrigation and energy. The existing projects irrigate 14,607 hectares of land and produce 170 gigawatt hours (GWh) of energy. When the projects under construction are completed, 8,019 additional hectares of land will be irrigated and 0.95MCM of potable water will be available. On completion of the projects in the review stage, Turkey aims to irrigate 77,489 hectares of land, protect 20,000 hectares from floods, provide about 36.43MCM of potable water and produce 62.77GWh/year energy. When all the projects are completed, a total of 99,575 hectares of land will be irrigated, 180GWh of electricity will be produced, 37MCM of potable water will be provided and 20,000 hectares of land will be protected from floods. Turkey also started building the Reyhanlı Dam near the Syrian border in 2012, which will provide domestic and irrigation water, flood protection and control the groundwater level. Water sources of the dam are the Asi, Afrin and Karasu rivers. The dam will irrigate 60,000 hectares of land and protect 20,000 hectares from floods. Fanack Water of the Middle East and North Africa, 2016. Lebanon Country Report. Available at http://water.fanack.com/lebanon/. Salha, S., 1995. Türkiye, Suriye, ve Lübnan İlişkilerinde Asi Nehri Sorunu. Lebanon Country Fact Sheet. Available at www.fao.org/nr/water/aquastat/data/cf/readPdf.html?f=LBN-CF_eng.pdf (18/03/2016). Salman, M.; Mualla, W., 2008. Water Demand Management Syria: Centralized and Decentralized Views. Available at ftp://ftp.fao.org/agl/iptrid/conf_egypt_03.pdf (19/03/2016). Canatan, E., 2003. Türkiye-Suriye Arasında Asi Nehri Uyuşmazlığ. Yayımlanmamış Yüksek Lisans Tezi, Ankara. DSİ, 2014. DSİ and Water. DSİ, Ankara. Gürol, M. D.; Bayar, S. (eds. ), 2009. Sınıraşan Sular ve Türkiye. Gebze, GYTE. Strategic Foresight Group, 2011. Blue Peace Plan: Rethinking Middle East Water. DSI, 2012. ‘Suriye Sınırındaki Reyhanlı Barajı’nda Çalışmalar Tüm Hızıyla Devam Ediyor’. Available at www.dsi.gov.tr/haberler/2012/08/15/reyhanlibaraji (15/07/2016).